John Hays picked out thirteen of his top photos from the Pioneer Invitational to showcase. 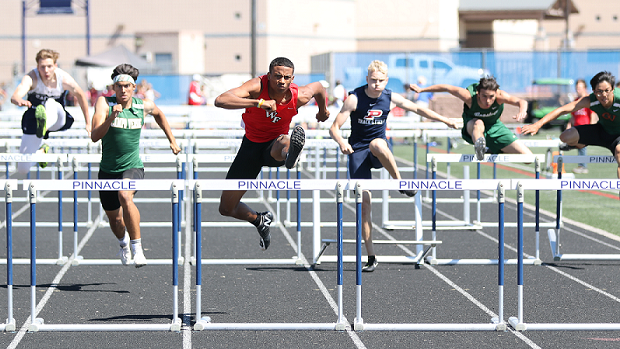 Here, he captures Jadon Pearson (Williams Field, Sr.) winning the Boys' 110m Hurdles in 14.49. Check out more of John Hays' personal highlights from Saturday in the following pages.